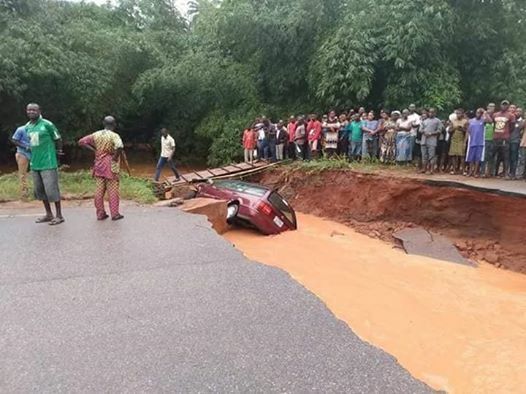 Erosion crisis in Anambra State : Media has been unfair to Anambra State ! 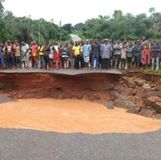 Erosion havoc in Anambra has been poorly reported by the Media . Erosion issue in Anambra State can be refer as "Environmental Terrorism " and all efforts should be directed towards Anambra erosion havoc so that we can save humanity . This road connects Awka South - Orumba North LGA and Orumba South LGA in Anambra State . Again , I call for more effort on erosion havoc in Anambra State . Media has been so unfair to Anambra State and her people on issue of erosion related issue . When will the media tell the story of erosion havoc to the world ? When will NGOs turn their face to Anambra State on how to solve erosion crisis in Anambra State ? When are we going to have Presidential Commission on Anambra State Erosion crisis ? When will the International Community consider our people cry ? Our People are crying for help ! We have over 500 documented erosion sites in Anambra State ! A Global record , yet no National attention not to talk about global attention . To my state Govt , please adopt Proactive as against Reactive approach . We should have dress the signs than always waiting for such signs to degenerate to the point of interrupting economic activities of the people before intervening . I therefore call on the Ministry of Environment , ARMA , Ministry of Works and SEMA to fix the road as a matter of urgency while urging them to adopt proactive measures as a state policy . Time has come for all tiers of Government in Nigeria and the world to view erosion related issue in Anambra State as an "environmental terrorism" against humanity and her society . Photo : Umuawulu - Nibo - Awgbu road that link three LGAs cut off yesterday (Sept 4th 2018 ).